I know I’ve written about BB Creams before and have had different favorites along the way, but this one is different. 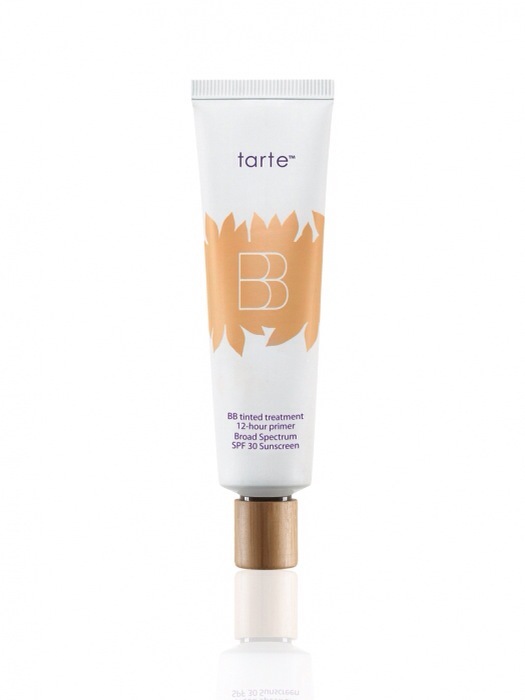 Tarte BB Tinted 12-Hour Primer is the holy grail of BB creams. I tried it at the beginning of summer and instantly knew I had found THE ONE. It goes on with the silkiness of a primer and the coverage of a light foundation. I barely need any concealer. It also moisturizes well, is an anti-aging treatment and has SPF. It does a great job evening out my skintone and covering imperfections and it diffuses light which minimizes all my pesky fine lines, pores, and wrinkles. Best of all-it’s oil free and comes in 5 shades, which is unusual for a BB. If you’re looking for a makeup that’s light weight and made with more natural ingredients, I highly recommend this product. You won’t be disappointed!